This post was originally published on Diary of a Not So Wimpy Teacher. Vocabulary instruction is so critical in today’s classroom! 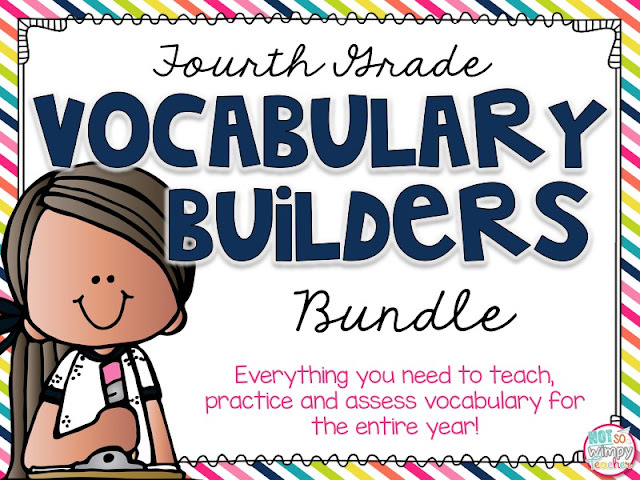 A vast vocabulary will help students become better readers and writers. Vocabulary is also essential to their performance on standardized tests. Helping kids develop their vocabulary is time well spent in a busy classroom. 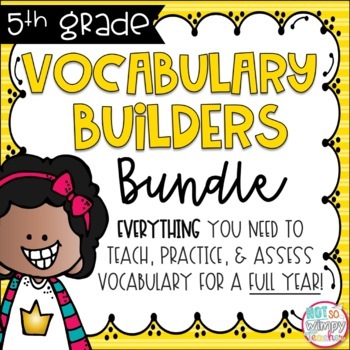 I have developed a vocabulary routine that keeps my vocabulary instruction simple to plan and provides a meaningful use of instructional minutes. To read more about my weekly routine, click on the picture below. I love using games to practice and review vocabulary words. 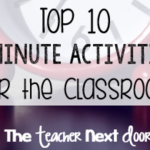 Games are engaging and fun, and students will remember more when they are having fun! Games can be used in centers or as a whole group activity. I have come up with ten different games that are super simple and can be played with any list of words. 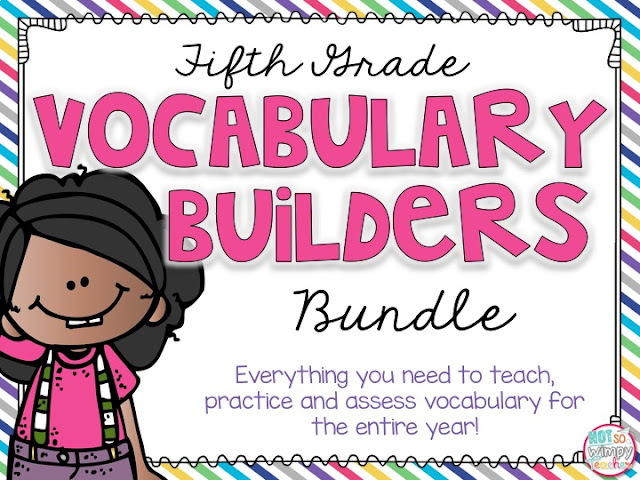 You can play these games with ELA words, science words or even math vocabulary. You will find lots of free printables throughout this post that will make it super easy to start playing these games in your classroom tomorrow! Each student will need one of the free game boards. If you want to be able to use them over and over, laminate them and have students use dry erase markers. Otherwise, they can use any writing utensil. 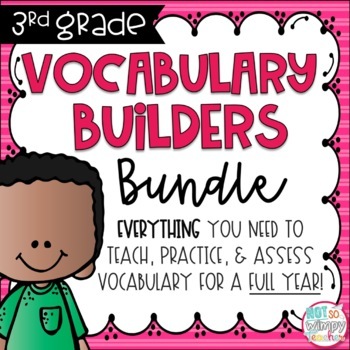 Provide a long list of vocabulary words. Students will need 24 words, so it is a good game to play at the end of the unit to review. 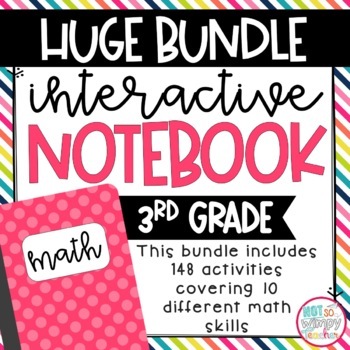 You can also mix math, science and ELA words for a review of multiple subjects! Students will write a different word in each box. They decide which words and what order to write them in so that every board is a little different. When you are ready to play, give students a definition. Students determine the word. If they have that word on their board, they can cover it or color it. The first person to get five in a row is the winner. You can download the game board for free HERE. To play this game, you will need cards with vocabulary words and cards with their meanings. You can make them with index cards or you can use the free editable card template that I have provided. Students shuffle up the cards and place them face down in an array. Students take turns flipping two cards. If they flip over a match — the word and its meaning — they keep the two cards. If they are not a match, they flip the cards back over and it is the next person’s turn. Play continues until all of the cards are gone. 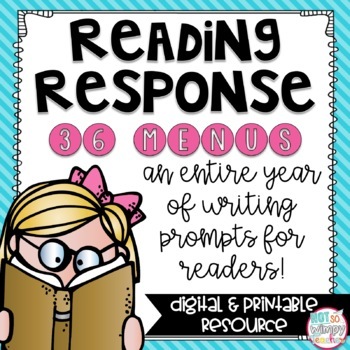 You can grab these free editable word cards HERE. For this game, you can use the word cards from the memory game or you can write words on popsicle sticks. You will also want some of the free pop cards or write pop on several sticks. Put the cards or sticks into a container. Students take turns pulling one card or stick out of the container. If they pull a word card, they must give the definition. You can change this up a bit by requiring them to give a synonym and antonym if you prefer. If they answer correctly, they keep the card. If they are wrong, it goes back in the container. If they draw a pop, they must put all of their cards back in the container. This game won’t end on its own because there are always pop cards. When the time is up, the winner is the person with the most cards. You can grab these cute pop cards for free HERE. You can also grab the free editable word card template HERE. Tell students that they must be asking questions pertaining to the definition, part of speech and definition! Once a student guesses their word, the next player takes a turn. You can also use a timer to keep things moving. There really isn’t a winner for this game, but it always a favorite in my classroom. You can grab these free editable word HERE. This is a good whole group game, but you can have students working in teams. You will need to use word cards again. You will be taping them, face down, onto your board so that the whole class can see the blank back of the card. You will add the category and point cards that I have provided for you. The first team will choose a category and a point amount. Flip that card over and give that team 5-10 seconds to answer. So if they choose synonyms for threes points, they need to give a synonym for the vocabulary word. If they are correct, their team gets the three points. I usually just keep score on the board. If they are not correct, put the card back so that another team can try it. Once all of the cards have been completed, the team with the most points is the wining team. Be sure to put the toughest words in the five point row! You can download these free heading cards HERE. For this game, you will need a small ball and a trash can. I also put a piece of masking tape on the floor to show students where to stand when they throw. 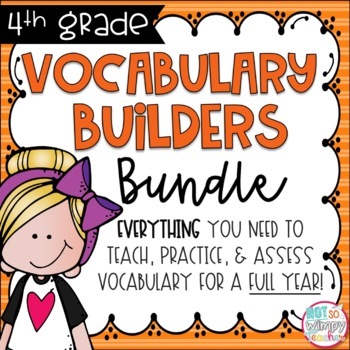 The teacher will need a list of vocabulary words. Divide the class into two teams and have students get in a line starting at the tape. Ask the first person a question. You can just give them a word and ask for a definition or a synonym, or to use the word in a sentence. You can even use questions from assessments. If the student gets the question right, they get a point for their team and they get the chance to throw the ball. If they make the basket, they get a bonus point for their team. If they are not correct, the question goes to the next person in line. At the end of the allotted time, the team with the most points is the winning team. This is so simple to implement because you are using simple games that students already know how to play. Games that I suggest are Candy Land, Checkers, Connect Four, Chutes and Ladders, etc. It is ok if the games seem young for your grade level. The kids love playing them anyway! You will also need word cards. The game is played according to the traditional game rules. The only change is that before a player can take their turn on the game board, they must flip over a word card and correctly define it. If they are correct, they get their turn. If they are incorrect, it is the next person’s turn. It is so simple, but my kids beg for it! This is another whole group game that you will play in teams. You will need some sort of buzzers or bells. I have animal sound buzzers that I love because each team gets their own animal sound. The kids LOVE it. But be sure to do some training about proper use. I take a point if I hear a buzzer at an inappropriate time. Teams stand in a line behind their buzzer so that they can easily take turns. 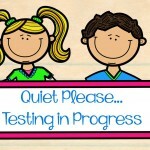 The teacher asks any vocabulary question and when a team thinks they know the answer, they push their buzzer. The first buzzer I hear, gets to answer. If they are correct, their team gets a point. If they are incorrect, the other three teams get another chance to buzz in and answer. Then those four students go to the back of their team line. The winning team is the team with the most points when time is up or you run out of questions. This game doesn’t require any prep and could be done when you find yourself with a little extra time before lunch or during rainy day recess. I often play this with the whole group in teams, but it could be played with a small group. Teams will take turns being the actor. Either give the team a word card, or just whisper the word in their ear. The team or the student will go to the front and act out the word. They can’t talk. The audience will guess what word they are. You can give the audience teams buzzers or just let them call out answers. You can give teams a point for getting answers correct, or you can just play for fun. If you want to use word cards, you can grab these free editable word cards HERE. This is a super simple game. Students will play in a small group and only need word cards (or even definition cards!) and a die. Players take turns flipping a card and giving the definition (or if it is a definition card, they give the word). If they are correct, they roll the die to see how many points they get. If they are incorrect, it is the next person’s turn. The winner is the person with the most points when time is up or all the word cards are gone. 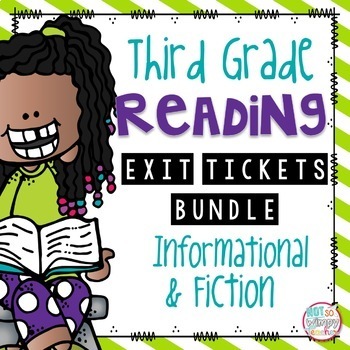 Did you miss any of the free resources from this post? Just click HERE to grab them all at once! 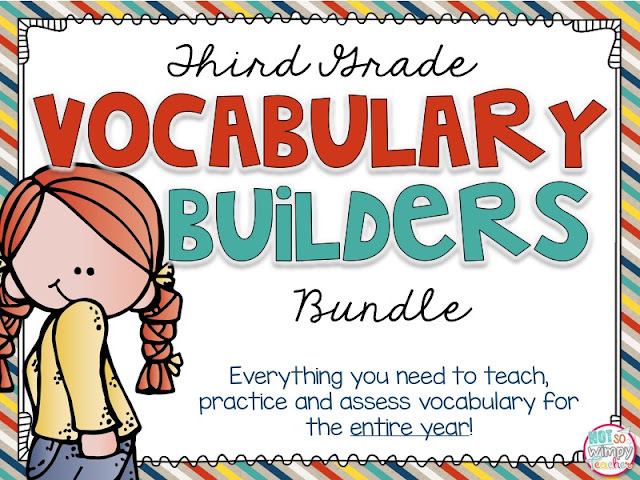 Do you have resources for helping your students to learn tier two vocabulary? 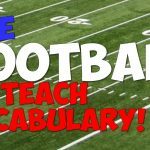 I have put together units that include everything you need to teach, practice and assess vocabulary. 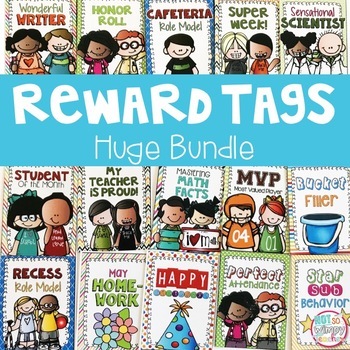 Each unit includes teacher plans, weekly word lists, daily activities, task cards and assessments. Click on the pictures to get a better look at each unit. 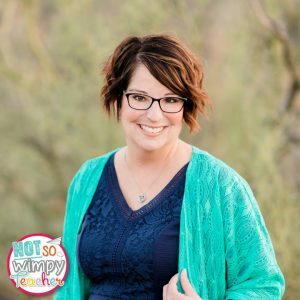 Jamie is a full-time curriculum designer and educational blogger. 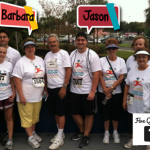 She loves creating resources that help teachers save time while keeping students engaged and learning. 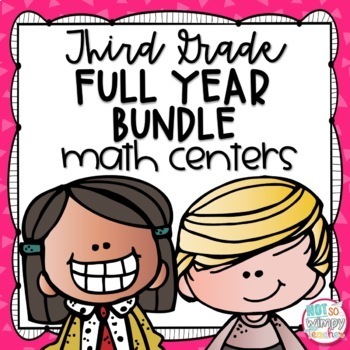 You can visit her store and blog for more fun ideas and resources. You can also connect with Jamie on Facebook, Instagram, and Pinterest. ← Teaching Landforms: Experiments, Resources, and a FREEBIE!